Just last week NPR posted a video showing, in a very cool animated fashion, just how difficult it is for people to walk in a straight line when blindfolded. Without visual cues, we humans have a tendency to just meander all around in circles. Why circles? Nobody knows. Take a look at the video below. So I was thinking, if people who are blindfolded can't walk straight, how well will they do drawing a straight line blindfolded? Well, I didn't have a whole lot of paper around the office (compared to the time people walked in the video), so I just performed a few experiments on a standard piece of copy paper and overwhelmingly they weren't interesting. I had my coworkers shut their eyes and slowly draw a line across the page. Sure, their lines weren't perfectly straight, but overall the results were not interesting enough to take a picture and post here. While my interest was piqued by drawing blindfolded, I found this bit of technical paperwork about blind people using rulers to draw straight lines called "A study on the straight-line drawing tasks for the non-sighted people" that looks like it was published as part of a book. I didn't have enough interest or the attention span to read a whole lot, but apparently blind people need a special ruler. 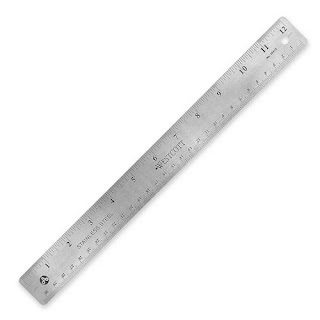 Luckily for most sighted people we can just pick out any standard ruler that's available with the rest of your office supplies. Just as soon as I started to lose interest in the whole blindfolded drawing thing, I remembered those blind contour drawings I dutifully created in art courses of yore. One of my favorites that I could easily find was a blind contour drawing of a Honda Civic that actually is similar to the artwork used in the opening drawing.